If you've got children, you will know that from time to time, they can be a handful. It’s in their nature to explore, to pick, to squeeze, to rub, to colour, to spill, to bash – you get where I'm going with this. As the exploration continues it can often be at the expense of your furnishings and assets. When you've spent hundreds and thousands of pounds on the décor and interior of your home, the last thing you want is for it all to be ruined with one little accident. You have to be brave to choose white, cream and light coloured themes when fitting your home improvements, especially when working with fabrics and carpets. But there is a much simpler, appealing and unique way to enhance the look of your interiors. Many floors often go unnoticed as users tread and trample its surface and over time, carpets can become worn and dingy. Wooden flooring brings sophistication, elegance and a brilliant finish to almost every interior design making one of the most popular choices in both traditional and contemporary houses up and down the country. 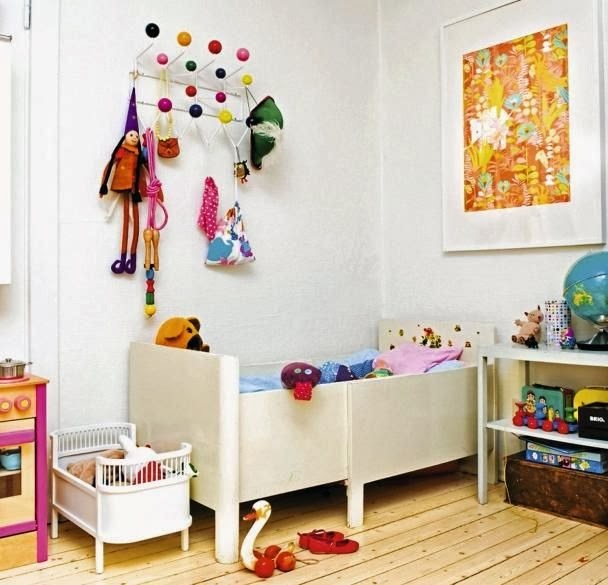 Always one’s for expert advice, we have teamed up with the guys over at Posh Flooring, the UK’s leading wood flooring suppliers, to list why wooden floors are perfect for homes with kids. With a huge variety of wood types, colours, grains and finishes to choose from, you can create a wooden floor that will fit any design. Its quality manufacture and protective finish will keep floors looking glossy and vibrant all year round – even if the little ones decide to wash your floor with squash. Wooden flooring is easy to maintain and will not stain should your kids knock or drop something onto your pristine floor. With a simple cleaning agent and kitchen towel, you can wipe up the mess in no time at all. No need for screaming and kicking, you can carry on with the rest of your day. All kids are the same; excitable, enthusiastic and eager to move onto their next adventure. So when your child comes running in indoors bringing half of your garden with you, you will no longer need to pull your hair out and search for a new floor. Wooden flooring is one of the toughest materials around capable of withstanding heavy wear, bumps and scraps as well as the unexpected. Carpet is renowned for retaining dust, hairs, odours and a variety of molecular structures. This can cause a number of health and medical issues for children suffering with allergies, asthma and an increased risk of children choking on small objects. A wooden floor eliminates every one of this and with a regular clean once a week; you can have peace of mind when it comes to leaving your children alone. Wood flooring holds many advantages over carpets and other flooring types, but its compatibility with children and young children really are some of its most noticeable. The last thing you want to be doing is worrying about your children’s wellbeing which is why it’s important to have a floor that offers peace of mind, low maintain and a truly beautiful finish. Phil Warrington, a home improvement blogger, looks at the benefits of wood flooring for homes with children in association with Posh Flooring. What a cool looking place. Such a lot going on in these photos - I could look at them for ages! I love those soft drink crates, I wonder if you could turn them into retro shelving in a kitchen or a dining room! Very cool. Wow where is this? Beautiful items... always try to find places like this but never any real treasures like you've found!